british television | Wait! What's A Dial? This article uses “seasons” when referring to American shows and “series” when talking about British shows. 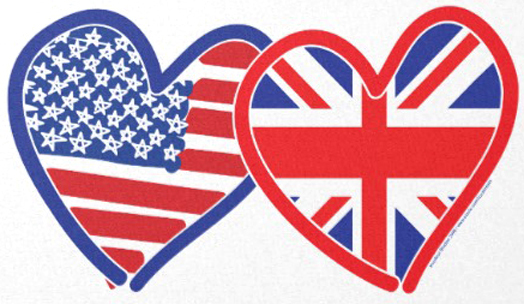 An American season is a British series. With British programs becoming more popular in the United States, Americans are noticing more and more that a British show can run for 10 years, but only have 32 episodes. A show produced in the United States usually accomplishes that feat in a season and a half, which typically takes place over the course of 18 months. 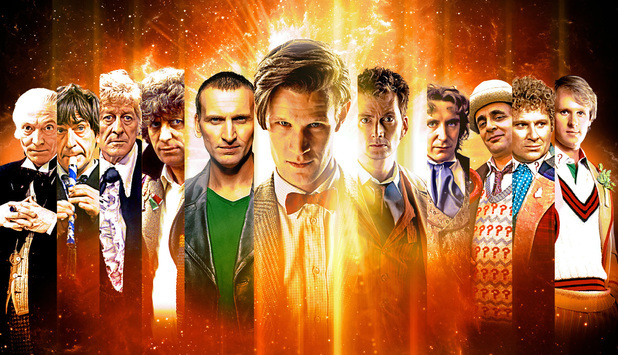 This occurs because British series, which an American would call seasons, range from 6 to 8 episodes; it’s not uncommon for shows to then go on a two year hiatus. American networks like to bang out as many episodes as possible as quick as possible because 100 episodes is the magic number for syndication. Neither system is bad, but the British way of making television has some distinct advantages. Doll & Em is a lot like Hello Ladies. It’s quintessentially British, which somehow makes it really boring. 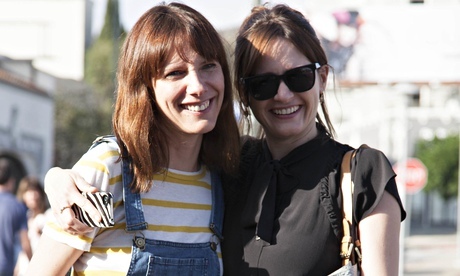 In the case of Doll & Em, we’re watching two women navigate Hollywood. Everyone knows Hollywood is a strange place. Fiction likes to fill it with a bunch of self-absorbed jerks. So what happens when you take a town full of unlikable people and throw two more unlikable people into it? A very uncompelling show. Dolly and Emily have an extremely close, but complicated relationship. When Dolly calls up Emily because she lost her job, Emily instantly hires Dolly to be her assistant. Since Emily appears to be a well-known actress, she is forced to go to Hollywood parties. After she comes home, she constantly complains about how terrible they are. You would think, by now, she would have found a way to get out of them. Secretly, Emily probably likes complaining about them because hanging around them makes it easier for her to ignore her own bad qualities. For example, Emily had no problem making out with a guy Dolly was interested in. The kicker: Emily has a husband, albeit one she never sees. Every fall, a new TV show arises that millions of people are horrified that it has seen the light of day. The words “American remake” send terror through any anglophile’s heart the same way it does with “cancelled.” While everyone else is cowering in the corner watching some maniac serial killer movie marathon, we watch our beloved British TV shows being butchered by American hands. Which leave us all wondering: are any of these remakes really necessary? 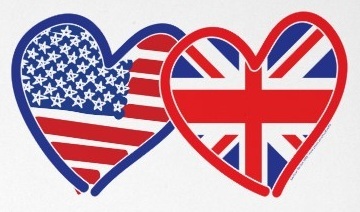 I, like millions of other Americans, have no problem watching British television. British humor is known for being deadpan. Apparently, deadpan is synonymous with “incomprehensible” in the minds of network executives, which causes remakes to dumb down jokes so that Americans can understand them. Having to make jokes more obvious is part of the problem that American remakes fail. We don’t need to be pigeon holed as stupid. Rainbow was a children’s show that aired on ITV from 1972 to 1992. It lasted 15 series/seasons for a total of over 1,000 episodes. Of course, being part of a long running children’s show, the cast and crew felt the need to let loose once in a while. They probably didn’t expect was that their naughty Christmas tape sketch would go on to YouTube infamy. 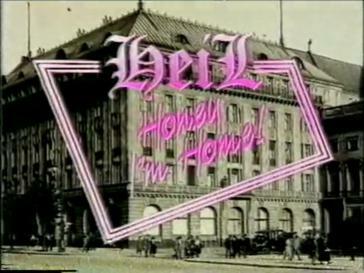 Shows that Should Be Forgotten: Heil Honey I’m Home! We know the very existence of this article invalidates its premise. If there are any television shows that should be forgotten, it’s shows that were cancelled after one episode. Some shows are a mistake from the get-go. A sitcom about Adolf Hitler and Eva Braun is one of them. Heil Honey I’m Home!, which was broadcast in 1990 by the ill-fated BSB’s defunct Galaxy channel, should not exist. Not because it’s in poor taste or offensive, but because it’s just an awful show. Heil Honey I’m Home! is meant to be an ironic satire of 1950s sitcoms. The show was a British creation that revolved around Hitler and Braun arguing about getting along with their Jewish neighbors, the Goldensteins. The pilot has British Prime Minister Neville Chamberlain coming over for dinner and Hitler wants to impress him without having the Goldensteins around. Braun suggests that getting along with the Goldensteins will give him a good reputation as a “Nice Guy Fuhrer.” Weird. This is not poorly disguised anti-semitism. This is not bigotry. It’s solely about a curmudgeon who hates his neighbors. Complete with hackneyed punchlines, an obligatory laugh track and arbitrary applause after a character enters, this is a poorly excuted attempt of satire. The fact that Hitler was a character, complete with American accent no less, only made a bad show seem worse. The Costco Connection has an article about some of the British television shows that are now available at Costco’s across the country. As Costco likes to say, not all of the titles are available in every warehouse. Also, this may not be a complete list. In “Howard Stern or Piers Morgan: Who’s Got Talent?”, Jeremy argued that Piers Morgan was entertaining on America’s Got Talent and made a decent judge. As an avid viewer of AGT, I agree that Piers Morgan did have his redeeming qualities. I actually would go as far as to say Piers is a better judge than Howard Stern, who appears to be making AGT “The Howard Show”. However, Jeremy and I both think we need to make it perfectly clear that while we like Piers, we in no way think he isn’t a scumbag. Piers has been involved in several scandals in the United Kingdom, the most well known is the News Corp. hacking scandal. Before Americans knew him as a reality show judge, Brits already knew him as the unlikable editor of several tabloids, such as The Sun and The Daily Mirror, who was somehow redeemed by his friendship with Simon Cowell. To make up for defending Piers Morgan, here is a clip (starts at 4:30) of him getting slimed/gunged on Noel’s House Party. Also, we would like to inform our British friends that we are well aware no one likes Noel Edmonds and have no idea why he’s still on television.